This text consists of eleven chapters concisely summarizing general adult psychiatry in the form of notes. It is primarily intended for junior hospital psychiatrists, general practitioners and medical students; however, psychiatric nurses, psychiatric social workers, psychiatric occupational therapists and clinical psychologists may also find the book an asset. 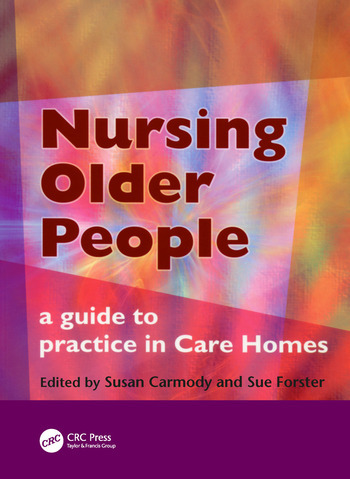 Aged care nursing. Nursing assessments. Skin and oral hygiene. Pressure ulcers and leg ulcers. Foot care. Nutrition. Enteral feeding. Incontinence. Falls. Manual handling and mobility. Wandering. Dysfunctional behaviour. Pain management. Palliative care. Care plans. Delirium and dementia. Medications. Complementary therapies. Cultural differences. Occupational health and safety. Elder abuse. Communicating in frustrating situations.